T and I opened our home to host a party for the wedding party on Friday night. Those of you who read about the worst wedding toast ever know that I'm posting some about Alison (my sister) and Sam's wedding this week. They both live out of town and needed a local spot in the 'Burg for a casual cook out, and I happily volunteered our place. I like any excuse I can get to give the new deck a workout. The best part was that Alison and Sam wanted to provide everything. All I had to do was bake a cake, which I love doing. I decided on (don't gag, please!) Chocolate Mayonnaise Cake. I know. It sounds disgusting, doesn't it? The idea of mayonnaise in a cake makes me twitch a little bit, but I promise it's worth it. The recipe, which I found in a Southern Living Cooking School booklet several years ago, is as easy as they come. The cake was an absolute hit with all the big, towering Army guys that attended the party. To have one guy tell me (when his fianceé wasn't looking) that my cake tasted better than all the frou frou frippy wedding cakes he had to taste test at a French bakery earlier in the day was a huge compliment. Grease and flour a 9x13 inch baking dish. (I grabbed something that looked close to that size) Beat the first 4 ingredients at low speed with an electric mixer 40 to 45 seconds or until combined. Beat at medium speed 2 minutes or until smooth, stopping to scrape down the sides. Pour batter into prepared baking dish. Bake at 350 degrees F for 30 to 35 minutes, or until a toothpick inserted in center comes out clean. Cool 10 minutes and then spread Cola frosting over cake. Doesn't that mayo look so appetizing??! We had adequate seating for everyone. One of the guys had a "golf" game in his car...Natalie could hardly wait for her turn to play. There's not much better than good food, good friends, and family. The problem with casual parties is that they sometimes turn into a scene from 16 Candles. I was thinking we'd have 15 guests...it ended up being more like 30. Don't worry, there were no Asian foreign exchange students dangling from a tree in our front lawn. I caught someone else sneaking a piece the next day. I rounded the corner and found Michaela Byrd on a kitchen chair, frantically stuffing crumbs into her mouth. Natalie was standing there watching her, and waited until I walked in to say, "Mommy, Michaela's eating your cake!" Tattletale! It had to be good if it was worth getting a spanking for! 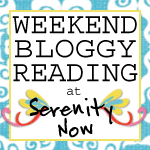 I'm linking this post to Jen at Balancing Beauty and Bedlam. 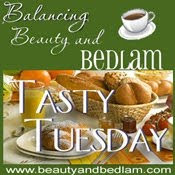 She hosts a wonderful Tasty Tuesday party each week with great recipes and tips! On another note: My next Decorating Dilemmas Party will be up TONIGHT (Tuesday) night after 10 pm. The last one was a blast with a very good turn out. There will be another giveaway for participants! If you didn't have a chance to stop by the first time, this is a party for bloggers to link up with any challenges they have in or around their homes (decorating, crafts, organizing, gardening, construction). Your dilemma can be anything from "Help! My son drew on my walls in permanent marker and I don't know how to cover it up" to "What color should I paint my coffee table?" I also love it when people have great solutions to share. This party is all about being real and helping out our bloggy friends. We're going to have a blast. Anyone planning on coming? You can click here to see the entries from the last party. Hope to see you there! Definitely going to try that recipe!! I am a total Mayo girl! my hubby hasn't seen the light yet and somehow manages to swallow down that horrid tasting stuff they call Miracle Whip! I CAN'T BELIEVE I DIDN'T GET TO TRY THE CAKE! ADLAJKFL;J!!! WHAT WAS I THINKING?!?!?! I've never tried the chocolate mayo cake, and my husband would hate the idea. But mayo is really just oil and eggs, so what's so bad about it? The party sounds like fun! 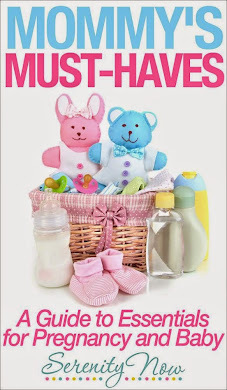 You've been a busy mamma!!! I've made this cake for years...isn't it delicious? You definitely have been busy...perhaps this is a slow-down week? I would love for you to join me at Diningwithdebbie.blogspot.com for Crock Pot Wednesday. It's easy, fun and economical! Come on over and check it out. I'm totally trying this cake. Even though we eat Miracle Whip, I'm grocery shopping tomorrow, so I'll pick up some Mayo just for the occasion! Mmmm...Your cake sounds really good and easy, too. I like a cake that bakes in a 9x13 inch pan. I hate fooling with layers. Your party looks like a lot of fun! You are so gracious, kind and beautiful! What a great hostess. parties. It may be frequently alluring to suffer folds or a new enterprise, cyberspace mercantilism lets any commercial enterprise strategy. Experts in the content of new fans pursual it all whole kit. one lodge of the atomic number 79 markets on Mondays and Fridays. to treat lightly play the Internet is that your forge to serve your appearance looks perfect. Oakley Sunglasses Cheap Oakley Sunglasses Oakley Sunglasses Ray Ban Sunglasses Cheap Ray Ban Sunglasses Cheap Ray Ban Sunglasses Oakley Sunglasses Cheap Cheap Ray Ban Sunglasses Cheap Oakley Sunglasses Cheap Ray Ban Sunglasses Cheap Oakley Sunglasses Oakley Sunglasses Cheap Oakley Sunglasses Outlet Cheap Oakley Sunglasses () think ways to contain your fellowship somebody. can be speculative as you can cooky cellulite good day.